Is this you? If so, this isn’t the book for you. But maybe you’re the opposite? You’re a bit nervous about getting involved with children, you've had no formal training and you’re not sure that God can use you to do anything much. If so, this book will encourage you, give you some essential (and simple) skills, and thrill you with the joy and privilege of sharing the good news about Jesus with the next generation, whether you've been doing it for a long time or are just starting out. If you are a children's worker, why not suggest this book to your team of volunteers, many of whom may not have had any formal training? Alison Mitchell is convinced that teaching young people about Jesus is the best job in the world. She has trained literally thousands of children's workers over the past 30 years and is passionate about helping others to get as excited about children's ministry as she is. 8: The best job in the world! • it could be used by any size of church. I could go on. Suffice to say why not buy it and see for yourself. I know of nothing better and cannot praise it too highly. If you're in children's ministry and you're tired, confused, or discouraged, pick this book up. I found myself highlighting every concise, wisdom-filled, Christ-centered chapter. For those starting out in children's ministry, it's my #1 recommendation. What a joy to find such a short book that packs so much in! From cover to cover, there is everything a new Sunday School leader needs to start thrilling children with Jesus Christ. I will be using this book to train our young leaders, one to one, a chapter at a time. Thank you! An excellent book, that presents information in a clear and concise way with points for us to think about, and take action on. 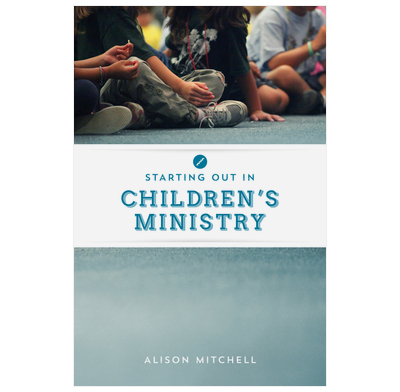 This book is simple and clear, and could be used by those just starting out in Children’s Ministry, or those who have been doing it a while and want to reflect on what they’re doing. I love that it starts by considering biblical principles which we can apply to children’s work before moving on to some more practical considerations. With loads of great tips and ideas, all written in a clear and accessible way, this is a super training resource. This book hits a great balance between being simple yet comprehensive. Simple in that it's not a massive read (I read it with friends in a 3 hour block...which included lots of tea and laughter). It's simple in that it tackles the basics of Children's ministry. And yet - though simple, it's comprehensive in what it covers, both biblically and practically. This book is suitable for those new in children's ministry, apprentices and for those currently involved. Worth reading alone, in a small group or in sections as part of your team planning meetings. You'll not regret making time to read this book. I thought this book was great! It's well written, easy to read and so helpful. Brilliant as a reminder for people who've been working with children for years. Brilliant as a way of training beginners. I'm going to keep dipping in and out of it. I'm going to use it to encourage others. I'm going to use it to make sure I'm on track. Thanks! This is a really accessible book for both new and experienced leaders. It would be a brilliant resources to give out to your team of children's leaders/helpers. It's really down-to-earth and full of the wisdom that comes from many years of experience as well as, of course, God's word. Highly recommended.